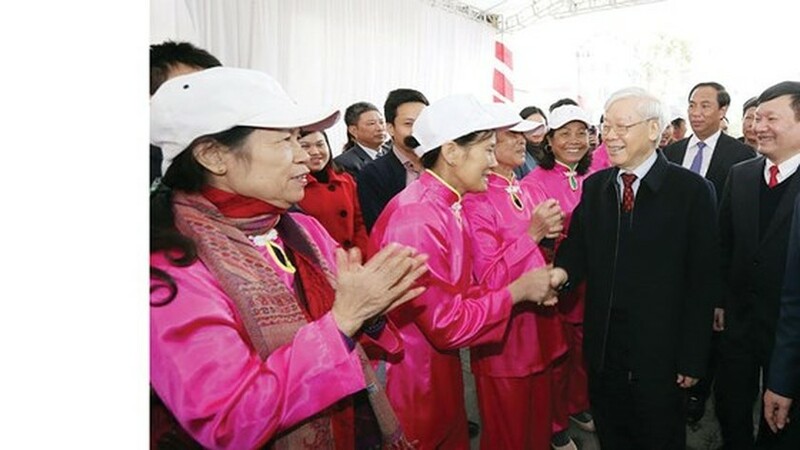 General Secretary of the Communist Party of Vietnam Nguyen Phu Trong yesterday paid a visit and offered the best wishes to authorities and people of Hung Yen province on the occasion of the traditional Tet (Lunar New Year). The Party chief pleasured on the first days of Year of the Dog at the visit to the province with long- term historical, cultural, revolutionary patriotism traditions and contributions in war and the country’s development. On the occasion, Mr. Nguyen Phu Trong laid a wreath at the statue of late Party General Secretary Nguyen Van Linh to commemorate his great contributions for revolutionary career of Communist Party of Vietnam and the nation. 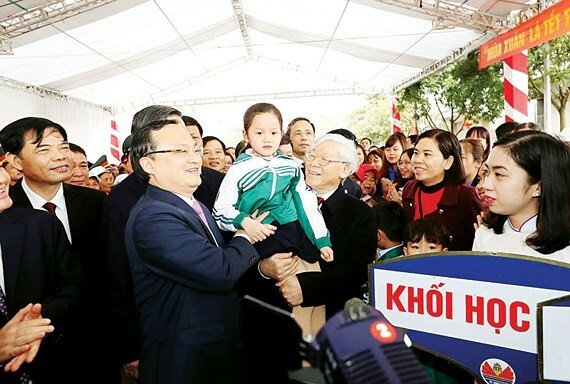 He also launched the spring tree planting festival in Hien Nam ward of Hung Yen city. On the same day, the Party chief visited, extended Tet greetings and presented gifts to workers and officials of the Hung Long II Garment Joint Stock Company.